Heikki Aho and Björn Soldan founded the Aho & Soldan film company in autumn 1925. Documentary film-making and photography, which had been virtually unknown in Finland up until then, had arrived. Aho was an expert in post-production work and Soldan Finland’s first professionally trained cameraman. The brothers and the films they produced during the 1930s made Aho & Soldan a name to be reckoned with and took Finnish documentary work into the international league. Alongside their classic documentaries, they produced nearly 400 black and white shorts. Heikki Aho and Björn Soldan belonged to the avant-garde ABISS group, which wanted to turn Finland’s studio-based photographic tradition on its head. 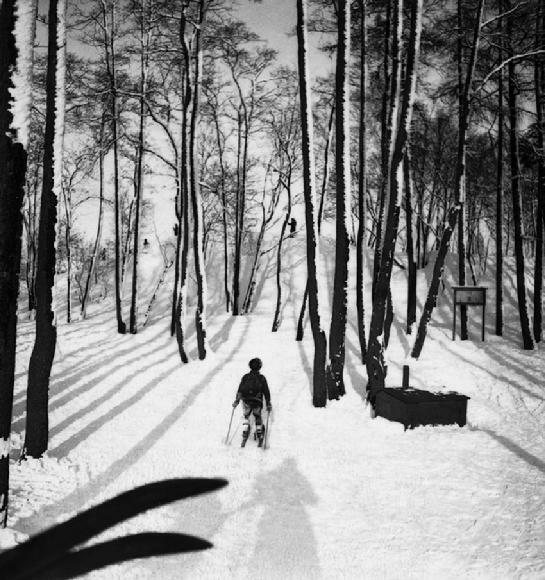 Their thousands of photographs documented a wide range of subjects, ranging from the natural world to modern industry and Helsinki preparing for the summer Olympics. Heikki Aho was the eldest son of the artist Venny Soldan-Brofeldt and the writer Juhani Aho, while Björn Soldan was Juhani Aho’s son from an extramarital relationship. Venny Soldan-Brofeldt was one of Finland’s leading artists of the time and a dominant figure, both at home and in cultural circles, and despatched both boys to study in Germany. The daughter of a German mother who had gone to a German-speaking school herself, Venny Soldan maintained close links with Germany, and the latest developments in science, art, and technology – not least the Bauhaus movement – were to have a profound impact on the brothers. Inspired by his mother, who was herself interested in photography, Heikki Aho took his first photographs at the age of eight. After graduating as a paper machine engineer and encouraged by his mother, he left for Germany, letters of recommendations in hand, to study with the colour theorist, Wilhelm Ostwald. After a short introduction to Ostwald’s theories, he continued on to the Zeiss optical works in Jena to put his teacher’s theories into practice. Heikki Aho was the first Finn to approach the film and printing process and the opportunities it offered from a scientific standpoint. Björn Soldan, who had been brought up by Venny, soon followed him. 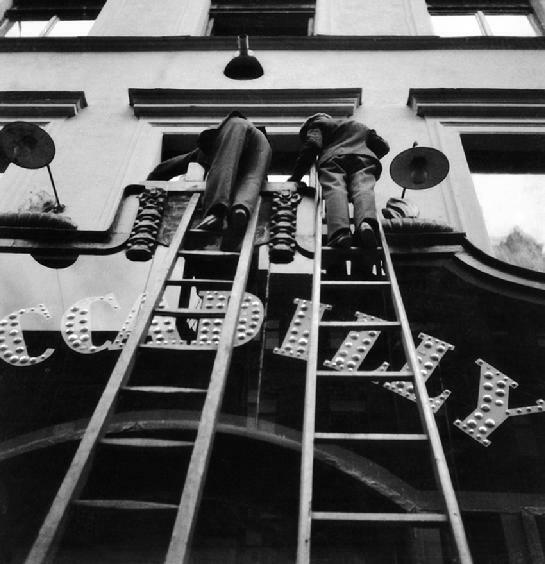 Soldan completed a degree in cinematography at the Institute of Photography in Munich in 1923-24. On their return to Finland, Aho and Soldan were keen to set up a documentary and photography company that could make use of the European expertise that they have been exposed to. Founded in autumn 1925, Aho, Soldan & Co. began life in the combined home and studio in the centre of Helsinki occupied by Venny following the death of Juhani Aho. The company’s office, cutting room, and laboratory were all initially housed there. Venny Soldan-Brofeldt had a major impact on Aho and Soldan, both practically and emotionally. Following in the footsteps of Maggie Gripenberg, a star of the Finnish dance world and an artist’s model that Juhani Aho had written an exotic dance drama for, Heikki Aho married a Lithuanian dancer, Dinah Selkina, while he was in Germany; and Björn Soldan married a stunningly photogenic English dancer, Vivien Birse. The two wives often embodied the beach and physical fitness culture typical of the interwar years in many of Aho & Soldan’s shorts and photographs in the 1930s. The close relationship between Venny and the two boys, together with their shared tastes, was also reflected in Aho’s and Soldan’s imagery, such as their impressionist seascapes bathed in sunlight and bird shots. Venny Soldan-Brofeldt’s palette had been strongly influenced by the summers she spent in Tvärminne on the shores of the Gulf of Finland; and the natural world, birds, the sea, the seashore, ships, and boats became trademarks of Aho & Soldan’s nature and travel images. The latest new technology played an important part in Aho & Soldan’s work and their modernist approach. The movie camera equipped with a set of interchangeable lenses that Björn Soldan had brought back from Germany enabled them to shoot virtually any type of scene. Villilintujen parissa (Among Wild Birds), completed in 1927, was the pair’s first full-length documentary. The telephoto shots used to capture the birdlife of a wilderness lake in Äyräpää on the Karelian Isthmus had never been seen before in Finland and captivated audiences. A light meter designed by Heikki Aho also broke new ground, as it enabled them to take impressionist-style, high-contrast shots outside in even difficult conditions. Aho & Soldan’s documentary film work extended from impressionist depictions of Finland’s forests, waterways, and land to the industry that made use of them. Suomen puu- ja paperiteollisuus (Finland’s Timber and Paper Industry), Suomen metsät ja maatalous (Finland’s Forests and Agriculture), and Suomen maatalous (Finnish Agriculture) were completed at the end of the decade. Raudanjalostusta Suomessa (Iron and Steel in Finland) completed a series of major industrial documentaries that marked Finland’s emergence from the depression years of the 1930s and represented a Finnish variation on the Bauhaus ideal of combining applied science, art, and industry. T.J. Särkkä, the Managing Director of the Suomen Filmiteollisuus film company and a prominent advocate of Finnish industry, praised the “romanticism of the machine” contained in his competitor’s industrial documentaries, and ranked Soldan & Aho’s film on mining in Outokumpu on a par with a good art film. 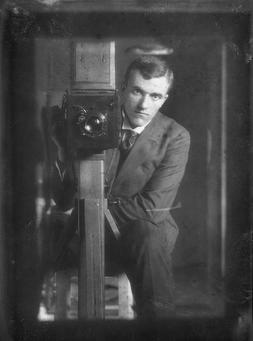 Eino Mäkinen, one of the leading names in modern Finnish photography and a film theorist, highlighted the film’s “poetry of light and shadow”. 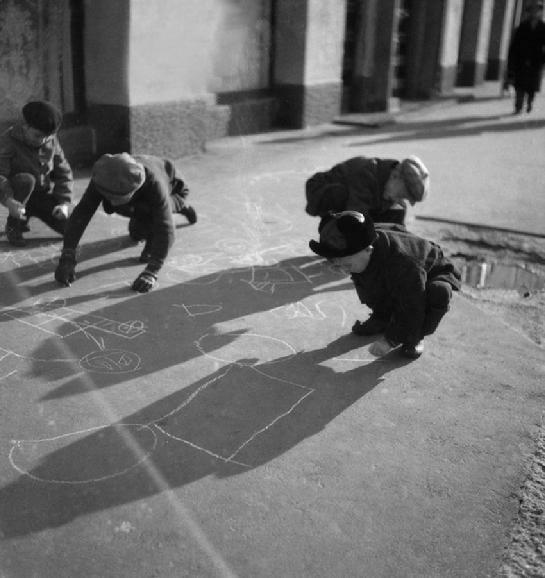 László Moholy-Nagy, the leading light of the Bauhaus photographic avant-garde, was a clear inspiration, and Björn Soldan was one of the first to have a hands-on relationship with his absolute art of ‘light, line, and surface’. Soldan kept his finger very much on the pulse of the time and boldly experimented with a number of new ideas in Aho & Soldan’s 1933 feature on the timber industry, Tempo. He made use of the camera to reveal what Walter Benjamin described as the ‘optical unconscious’, employing conscious distortion to create “a mathematically faultless perspective that appears unnatural to the eye”. Soldan cut his material in a fast photomontage-like style, using panning camera shots and rapidly switches of camera angle, in the spirit of the master of the experimental documentary, Walter Ruttmann. Heikki Aho often filmed together with Soldan or came along with a camera to take stills of the same subjects. As a photographer, Aho had a direct and fast style. Modern photography for him meant a neorealist approach, free of artificial lighting, that jumped headfirst into the romanticism of the machine age out in the field. He declared himself one of the standard-bearers of a new photography in the avant-garde ABISS group, which took its name from the initials of its members: Heikki Aho, Björn Soldan, Hans Brückner, Heinrich Iffland, and Vilho Setälä. While Aho’s realism perhaps did not catch the eye in the same provocative way that Setälä’s or Eino Mäkinen’s images did in the group’s joint exhibition held in 1930, Aho & Soldan’s photographs reached their apotheosis in the books that the two produced to celebrate their country and its people, industry, countryside, modern towns, and sights. 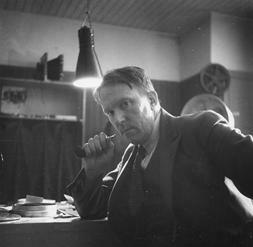 Following the introduction of legislation designed to promote Finnish short films in 1933, Heikki Aho, who had been one of its prime movers, extended his scope to the cinema. The era of the silent film, with its expressive language rooted in the world of still photography, was over. Aho became a pioneer of the montage documentary and the new aesthetic that was being developed in the avant-garde Projektion film club in Helsinki. 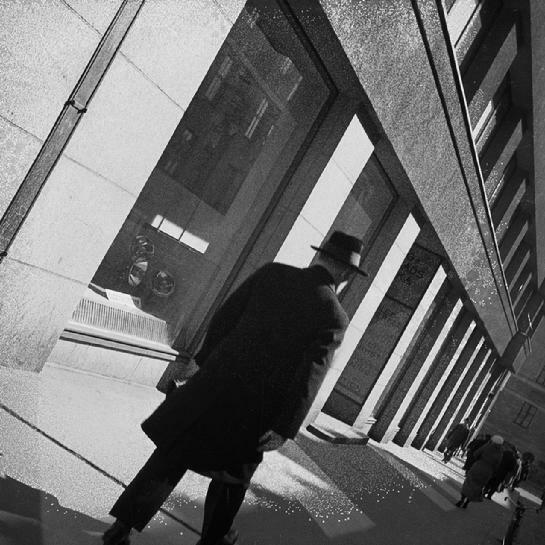 In addition to Aho, the leading lights behind the new movement included the architect Alvar Aalto, the photographer Eino Mäkinen, and Nyrki Tapiovaara, a film director versed in the montage style visual language of Sergei Eisenstein and Dziga Vertov. Nyrki Tapiovaara’s film version of Juha, a novel by Heikki Aho’s father, Juhani Aho, was Aho & Soldan’s only full-length fictional film. Shot by Björn Soldan, the film is a Finnish cinema classic. Aho & Soldan began work on Suomi Kutsuu (Finland Calling), a 25-minute short originally intended for a tourism fair in Stockholm, in 1936. Aho used music from Sibelius’ symphonies to provide the underlying rhythm of the piece, which took viewers on a journey of discovery from Finland’s past as a largely subsistence rural economy to the gleaming factories of the present day and the clamour of the streets of Helsinki. By the 1940 version, however, the idyllic journey was intercut with the sound of bombs falling on the city during the Winter War. Heikki and Björn spent their childhood in the Aho family home in Tuusula outside Helsinki and only put down their roots in the capital in 1911. By the 1920s, however, they were already recording the first signs of the new age making itself felt there, such as Ford cars being unloaded in the harbour. The official opening of the city’s new airport in the 1930s was also captured in much the same spirit, despite the storm clouds that were beginning to loom on the horizon, and in the autumn of 1939 Aho & Soldan’s Finnish Reviews showed a city preparing for war. Other memorable scenes captured on film by the two in the lead-up to the outbreak of war included the departure of J.K. Paasikivi to Moscow to negotiate with the Soviet government and the return of President Kallio from a meeting of Nordic heads of state. 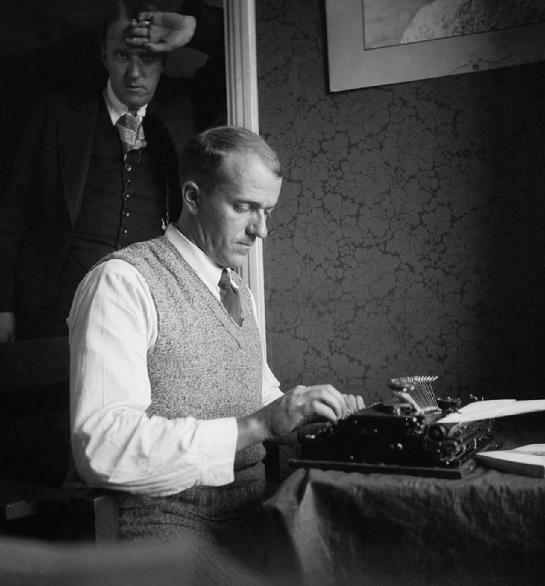 During the winter of 1940, Heikki Aho and Björn Soldan worked in Stockholm for the Finlandia News Agency, but Helsinki remained the focus of their attention. They produced the first series of images of the bombing of the city to see worldwide distribution in the cutting room of Swedish film industry icon, Svensk Filmindustri, as well as the Aho & Soldan film, Suomi puolustaa Pohjolan vapautta (Finland, the Defender of Nordic Freedom). The ‘Moscow siesta’ or interim peace after the end of the Winter War ended in the summer of 1941. Following the start of the Continuation War, Aho & Soldan worked on a short designed to bolster popular morale known as Sireenien kukkiessa (Flowering Sirens) for the Governmental Information Centre. Its images of Helsinki waking up to the reality of war at Midsummer were specially screened for the President and Parliament. After working as a war photographer in occupied East Karelia, Heikki Aho returned to Helsinki, which became the main setting for the brothers’ Finlandia Reviews in 1943 and 1944; and the two played an irreplaceable role in documenting events on the home front until the armistice. The 30-year collaboration between Heikki Aho and Björn Soldan came to an end in 1945, when an exhausted Björn left to work for the BBC in London. Here, he devoted himself to the post-war London landscape until a long drawn-out illness finally ended the career of this photographic pioneer in autumn 1953. Claire Aho, who had photographed and edited photo books for Aho & Soldan since the 1940s, took over as her father’s collaborator and continued working for the company until the 1960s. The company captured Helsinki as it prepared for the summer Olympics of 1952 on 16mm Eastman Color stock, although Laulu meren kaupungista (Song of a City by the Sea) was shown at the celebrations held in honour of the 400th anniversary of the city’s founding in black and white. 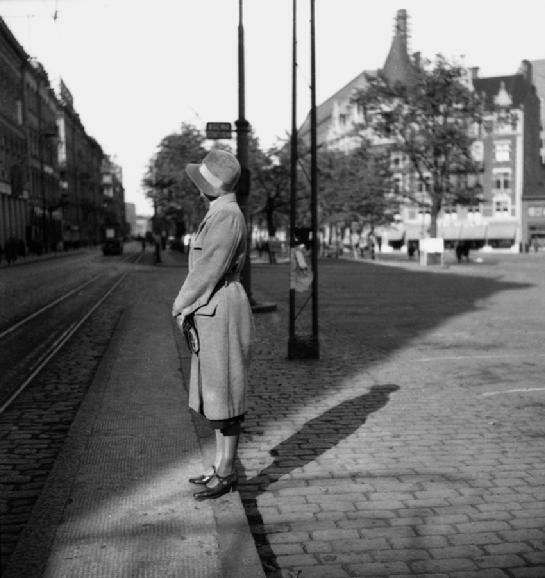 The actress Ella Eronen was chosen by Heikki Aho as the muse for the piece, and her voice-over highlighted a city emerging from the shadow of two wars. The film was symbolic in other ways too, marking the end of an era during which Aho & Soldan’s images had captured the spirit of a nation at war and at peace. Syksyllä 1925 Heikki Aho ja Björn Soldan perustivat Aho & Soldan -elokuvayhtiön. Meillä lähes tuntematon dokumenttielokuva ja sitä tukeva valokuvaus saivat tekijänsä. Aho oli kuvan jälkikäsittelyn huippuosaaja, Soldan taas ensimmäinen korkeakoulutettu kamerataiturimme. Veljespari loi 30-luvun elokuvillaan ”Aho & Soldanista” käsitteen ja nosti suomalaisen dokumentin kansainväliselle tasolle. Dokumenttiklassikkojen ohessa valmistui lisäksi lähes neljäsataa mustavalkoista lyhytelokuvaa. Valokuvaajina Heikki Aho ja Björn Soldan kuuluivat avantgardistiseen ABISS-ryhmään, joka tuuletti ateljeekuvauksen sulkeutunutta perinnettämme. Lukemattomiin valokuviin tallentuivat aiheista muun muassa luonto, moderni teollisuus ja kesäolympialaisiinsa valmistautuva Helsinki. kulttuuripersoona, joka sysäsi kaukoviisaasti Heikki Ahon ja Björn Soldanin kotipesästään Saksaan. Venny Soldan, saksalaisen äidin saksankielisen koulun käynyt tytär, oli säilyttänyt yhteyden Bauhaus-koulukunnan maahan, missä tieteen, taiteen ja teknologian modernit virtaukset nostivat veljekset siivilleen. Heikki Aho oli käyttänyt kameraa jo kahdeksanvuotiaasta valokuvauksesta kiinnostuneen äitinsä vaikutuspiirissä. Opiskeltuaan paperikoneinsinööriksi hän oli valmis täyttämään myös kirjankuvittajana ansioituneen äitinsä odotukset. Vuonna 1921 Aho matkusti suosituksineen saksalaisen väriteoreetikko Wilhelm Ostwaldin opinahjoon. Edessä oli lyhyt perehtymisjakso, minkä jälkeen terävä-älyinen insinööri alkoi soveltaa maailmankuulun opettajansa teoriaa Zeissin optisten välineiden tehtaalla Jenassa. Heikki Aho oli ensimmäinen suomalainen, joka paneutui filmin valottamiseen ja paperille vedostamisen mahdollisuuksiin tieteelliseltä perustalta. Seuraavana oli vuorossa Vennyn kasvattipoika Björn Soldan. Hän suoritti korkeakoulututkintonsa Münchenin valokuvausinstituutin elokuvaosastolla 1923–24. Aho ja Münchenistä palannut Soldan olivat kuvauksen ja jälkikäsittelyn ammattilaisina eurooppalaisella tasolla ja innokkaita käynnistämään dokumentteihin ja valokuvaukseen erikoistuvan yrityksensä. Syksyllä 1925 perustettu Aho, Soldan & Co. aloitti turvallisesti kotona, kirjailija Ahon taiteilijalesken kaupunkiasunnossa Bulevardi 2:ssa. Aluksi äidin ateljeesta lohkaistuun huoneistoon sijoittui sekä yhtiön toimisto, leikkaamo että filmilaboratorio. Venny Soldan-Brofeldt vaikutti poikiinsa monin tavoin, myös alitajuisten tunteiden tasolla. Maggie Gripenberg, kuvalehdissä usein rohkeasti esiintynyt modernin tanssi taiteen suomalainen tähti, oli taiteilijan malli ja läheinen ystävä, jolle Juhani Aho kirjoitti eksoottisen tanssinäytelmän. Modernismin sytyttämät pojat menivät pitemmälle: Heikki Aho avioitui Saksassa liettualaisen tanssitaiteilija Dinah Selkinan kanssa. Björn Soldan vei puolestaan vihille englantilaisen Vivien Birsen, häikäisevän valokuvauksellisen tanssijattaren. Kauniit puolisot esiintyivät usein rantaelämän ja ruumiinkulttuurin hengettärinä Aho & Soldanin 1930-luvun lyhytfilmeissä ja valokuvissa. Äidin ja poikien läheiset suhteet ja yhteiset mieltymykset heijastuivat myös niihin kamerakuviin, joiden aiheistoon kuuluivat auringonvalossa nähdyt impressiot merellisestä luonnosta ja linnustosta. Taiteilija Soldan-Brofeldtin oma väripaletti oli kirkastunut Suomenlahden rannikolla, Tvärminnen Toskassa vietettyinä kesinä. Luonnon ilmiötä, lintuja, merta, rantakallioita, laivojen ja veneiden liikettä rekisteröivästä kamerasta tuli puolestaan Aho & Soldanin luonto- ja matkailukuvien laatumerkki. Aikalaisten moderniksi mieltämän laadun tae oli edistyksellinen kuvausteknologia. Björn Soldan oli tuonut Saksasta vaihdettavalla optiikalla varustetun elokuvakameransa, joka taltioi kohteensa kaikilta etäisyyksiltä. Vuonna 1927 valmistunut Villilintujen parissa oli elokuvaajien ensimmäinen pitkä dokumentti. Teleobjektiivin taikomissa otoksissa lähestyttiin Äyräpään erämaajärven linnustoa ennen kokemattomalla ja yleisönsä suggeroivalla tavalla. Heikki Ahon suunnittelema valotusmittari oli toinen uutuus. Se mahdollisti impressionistisen ilmavat ja sävykkäät ulkokuvaukset vaativissakin oloissa. Aho & Soldanin dokumenttielokuvaus laajeni luonnon impressioista metsät, vesistöt, maaperän ja niitä hyödyntävän teollisuuden mittasuhteisiin. Suomen puu- ja paperiteollisuus, Suomen metsät ja metsätalous sekä Suomen maatalous valmistuivat vuosikymmenen lopulla. Raudanjalostusta Suomessa päätti suurten teollisuusdokumenttien sarjan maan noustessa 30-luvun lamasta. Saksalaisen Bauhaus-liikkeen tavoite soveltavan tieteen, taiteen ja teollisen tuotantokoneiston liitosta sai suomalais-kansallisen vastineensa. Kotimaisen teollisuuden propagandisti ja Suomen Filmiteollisuuden toimitusjohtaja T.J. Särkkä ylisti kilpailijansa teollisuuselokuvien ”koneiden romantiikkaa” ja antoi Outokummun kaivoselokuvalle ”hyvän taidefilmin arvolauseen”. ”Valon ja varjon runoutta” ihasteli myös Eino Mäkinen, modernin suomalaisen valokuvauksen tuleva kärkinimi ja teoreetikko. Taustalta inspiroi Bauhausin valokuva-avantgarden auktoriteetti László Moholy-Nagy. Hänen ”valon, viivan ja pintojen” absoluuttiseen taiteeseensa Björn Soldanilla oli ensimmäisten joukossa kokemusperäinen suhde. Heikki Aho elokuvasi usein Soldanin kanssa yhteistyössä tai kädessään samoja kohteita rajaava valokuvakamera. Aho oli kuvaajana suoraviivainen ja nopea. Moderni valokuvaus merkitsi hänelle uusasiallista lähestymistapaa, keinovaloista vapautettua realismia ja koneiden romantiikkaa teollisuuslaitosten haasteellisissa oloissa. Hän julistautui uuden valokuvan ”tulenkantajaksi” avantgardistisessa ABISS-ryhmässä, jonka kirjainten ytimekkäästä yhdistelmästä vastasivat Heikki Ahon lisäksi Björn Soldan, Hans Brûckner, Heinrich Iffland ja Vilho Setälä. Ryhmän vuoden 1930 yhteisnäyttelyssä Ahon realismi ei ehkä tehonnut provokatorisena katseen vangitsijana Setälän tai näyttelyyn osallistuneen Eino Mäkisen kuvien tavoin. Aho & Soldanin valokuvat nousivat täyteen arvoonsa vasta kansakuntaa ja sen teollisuutta, maaseutua, moderneja kaupunkeja ja luonnonnähtävyyksiä ylistäviin Suomi-julkaisuihin vedostettuina. Kun kotimaisia lyhytkuvia suosiva laki astui voimaan vuonna 1933, uudistusta ajanut Heikki Aho laajensi elokuvataiteen pariin. Mykän, valokuvailmaisuun tukeutuvan elokuvauksen aika oli ohi. Ahosta tuli tienraivaaja montaasidokumentille, jonka uutta estetiikkaa edistettiin Helsingissä avantgardistisen Elokuvakerho Projektion sulatusuunissa. Uuden ilmaisun airueina toimivat Heikki Ahon lisäksi funktionalisti Alvar Aalto, valokuvaaja Eino Mäkinen sekä Nyrki Tapiovaara, Sergei Eisensteinin ja Dziga Vertovin montaasi-ilmaisun syvällinen tuntija. Nyrki Tapiovaara ohjasi Heikki Aholle Juhan, tuotantoyhtiön ainoan kokoillan fiktion. Ahon isän romaanin filmatisoinnista syntyi Soldanin kameralla nähty suomalaisen näytelmäelokuvan klassikko. Vuonna 1936 oli tekeillä myös Suomi Kutsuu, 25 minuutin tehoisku Tukholman matkailumessuille. Aho rytmitti suurenmoisen filminsä kaupunginorkesterin esittämiin Sibeliuksen sinfonisiin sointuihin. Vauhdikkaasti etenevät kuvat veivät kerrontaa kaskikulttuurin alkukodista puuta rouhiviin tehdashalleihin ja lopulta pääkaupungin sykkeeseen, auringossa kylpevän maan onnenpäiviin, kunnes pommien jysähdykset lisättiin ajankohtaisina vuoden 1940 versioon. Aholan taiteilijakodissa Tuusulassa lapsuutensa viettäneet Heikki ja Björn helsinkiläistyivät vuonna 1911. Jo 1920-luvulla he tallensivat filmille pääkaupungin ensimmäiset modernin ajan merkit: Fordin autojen juhlitun vastaanoton Helsingin satamassa. Malmin uutuuttaan hohtava lentokentän vihkijäisnäytös oli kamerasilmälle 1930-luvun tapaus pilvien jo noustessa taivaanrantaan. Syksyllä 1939 Aho & Soldanin Suomi-Katsaukset välittivät kuvaa Helsingin valmistautumisesta sodan varalle. J.K. Paasikiven lähtö Moskovan neuvotteluihin ja presidentti Kallion paluu Pohjoismaisten päämiesten kokouksesta kuuluivat suuriin kameralaukauksiin ennen talvisodan syttymistä. pommituksista sekä Aho & Soldan -elokuva Suomi puolustaa Pohjolan vapautta. ”Moskovan siestaksi” nimitetty välirauha päättyi kesällä 1941, jolloin alkoi isänmaan tarjoama uusi projekti Helsingissä Valtion Tiedotuslaitoksen palveluksessa. Aho & Soldan osallistui ensitöikseen jatkosodan hengen nostattamiseen lyhytkuvalla Sireenien kukkiessa. Kuvat Suomen pääkaupungista, joka havahtui juhannuksena sodan todellisuuteen, saivat korkeimman tason vastaanoton presidentille ja eduskunnalle järjestetyssä näytöksessä. Heikki Aho kävi sotakuvaajana vallatussa Itä-Karjalassa. Tämän jälkeen Helsinki oli veljesten kameroille vuosien 1943–44 Finlandia-Katsausten päänäyttämö. Aina aselepoon asti he tallensivat kotirintaman tapahtumia korvaamattomalla tavalla. Kuvaajakaksikon 30 vuotta kestänyt yhteistyö katkesi vuonna 1945. Sodan uuvuttama Björn Soldan muutti Lontooseen BBC:n toimittajaksi. Soldan keskittyi sodanjälkeisen Lontoon näkymiin, kunnes pitkällinen sairaus päätti syksyllä 1953 valokuvauksen pioneerin merkittävän uran. 1940-luvulta Aho & Soldan -yhtiölle kuvannut ja kuvateoksia toimittanut Claire Aho siirtyi isänsä Heikin rinnalle. Hän jatkoi aina 1960-luvulle maineikkaan yhtiön työtä. Vuoden 1952 kesäolympialaisiin valmistautuva Helsinki tallentui kaitafilmaukseen siirtyvälle elokuvayhtiölle eastman-väreissä. Laulu meren kaupungista esitettiin vuonna 1950 Helsingin kaupungin 400-vuotisjuhlissa vielä mustavalkoisena. Ella Eronen oli Heikki Ahon valitsema juhlakuvan muusa, jonka lausumat säkeet valaisivat sodan varjoista nousevan kaupungin. Esitys oli muutenkin symbolinen – kuin päätös aikakaudelle,jonka sodassa ja rauhassa vaeltavan kansakunnan hengen Aho & Soldan vangitsi kuviinsa.